Visiting students taking class at DTH during a DTB site visit. 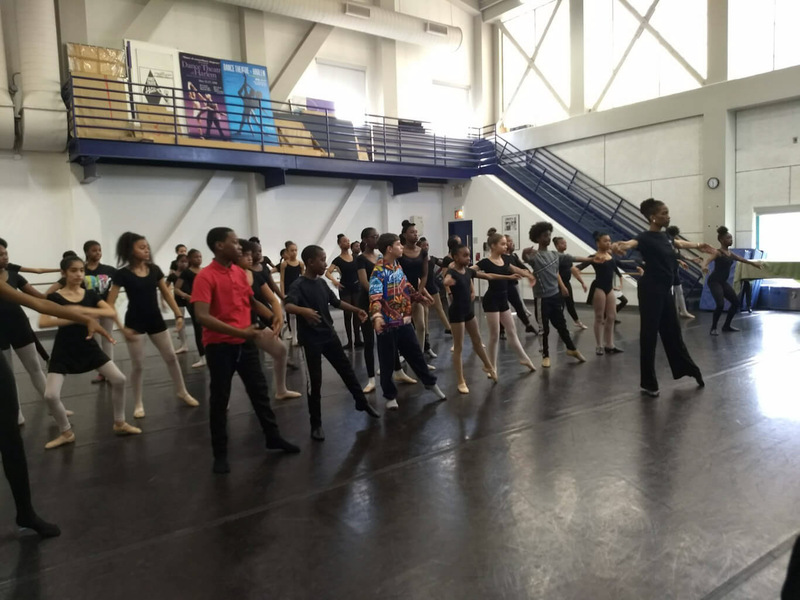 Based on the success of its original mission to provide Harlem youngsters with the opportunity to study and excel in neoclassical dance, Dance Theatre of Harlem has developed a comprehensive educational and community outreach program entitled Dancing Through Barriers®. Utilizing both teaching and performing artists as educators and role models, DTB® brings a variety of activities to schools and community centers around New York City. These activities can be booked as a one-time workshop, as a series, or as a residency over a specified period of time. Activities include but are not limited to School Time Performances, movement classes, workshops, and short or long-term residences. The Technique residency enables students to experience the rudiments of ballet technique and the value of using the mind and body to manifest an ideal over time. The curriculum also stresses ballet technique as a systematic approach to use skilled movements as a tool for self-expression, physical and mental mastery. 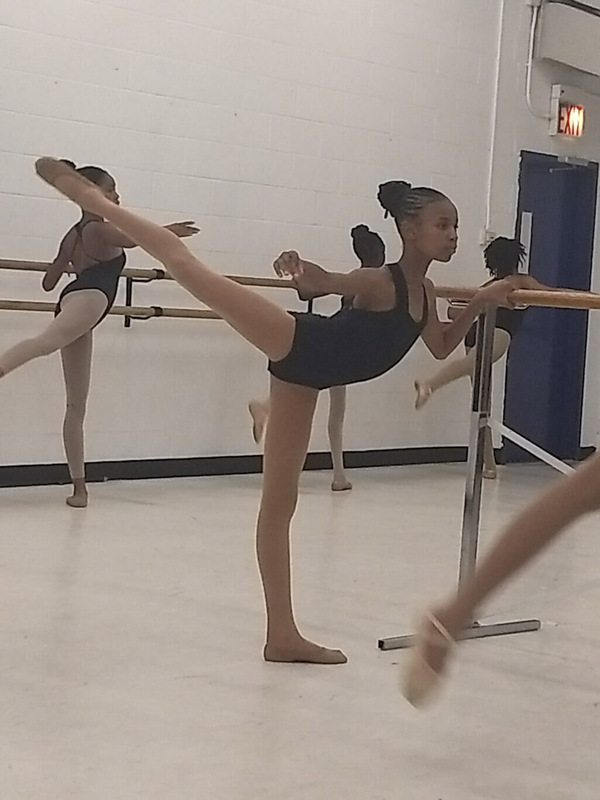 Students are encouraged to strive for accuracy, to improve their ballet technique as well as learning choreographic exercises, that enhances critical thinking, and problem solving. The Dance Making residency helps students think and communicate creatively in different contexts, frameworks, and perspectives by using dance as a platform for original movement invention and individual self-expression. The curriculum empowers students to discover and utilize original movement and to consider the many sources of inspiration for creative dance making. Students create autobiographies, self-portraits, among other interdisciplinary extension activities. This curriculum also strengthens team building, critical thinking and problem solving. The Positive Community residency enables participants (students or both students and their parents) to reflect upon and gain new insights about their communities and positive relationships through dance. Participants explore the concept of community by using dance to illustrate plant and animal environments as metaphors for community relationships. Its purpose, is to help students and parents understand their environment and identify issues that could be hindering achievement by learning through group exploration and dialogue. Participants also explore the connection between their own communities and the environment, while considering concepts such as habitats, adaptation, and diversity within an ecosystem, therefore resulting in the examination of their own personal impact and choices to understand what can help form a healthy community. The Diaspora residency helps students understand major historical events within the African-American Diaspora by critically examining its sociocultural past, present and future. 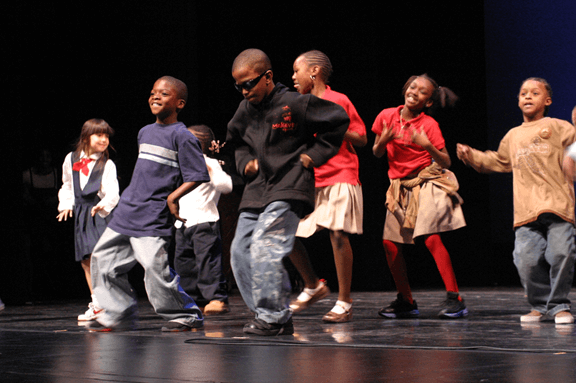 Participants experience the African Diaspora from the slave trade through the Emancipation Proclamation, Hip Hop and the Next Wave through dance, choreography and additional interdisciplinary approaches such as incorporating “salons” discussion groups that mirror the intellectual activities of Harlem Renaissance thinkers. Its purpose is to inspire the next generation of visionaries by exposing students to pioneers, cultures and time periods that yielded innovation and change. The curriculum also works to empower students by encouraging an examination of the Great Migration, Harlem Renaissance, Civil Rights Movement and Hip-Hop era. Students also gain a kinesthetic understanding of these eras through exploring music, poetry, art, and learning about the influential contributors who made a difference. An informal presentation on the art and science of classical dancing, the DTB School Time Performance is a fun and accessible introduction to ballet. Dance comes alive through the exploration of various elements of classical dancing such as jumping, turning, partnering, lifting, and dancing on the tips of their toes (en pointe). Specific exercises and the reasons for their use are demonstrated and explained. In an audience participation segment, similarities between contemporary social dance and theatrical dance are discovered. The School Time Performance culminates with performance excerpts from an eclectic repertoire, showing how all of the elements that have been discussed come together to create the magic of dance. Dance Theatre of Harlem offers a guided tour of the building that includes narration on history, how DTH operates not only as a professional dance company and school, but also as a business, a question and answer session, viewing a short video and opportunity to watch the Company in class or rehearsal (Limited availability, depends on touring Schedule). Site Visit Tour can also include a master class. Master classes are conducted for students with no previous training in dance to advanced. These classes may be held in conjunction with a site visit, or offered as a separate activity. The master class, emphasizes focus, discipline, and classical technique and other dance disciplines as practiced at Dance Theatre of Harlem. Programs are developed in collaboration with school staff and administrators and are presented in alignment with the NYC Department of Education’s Blueprint for Teaching and Learning in the Arts/Dance Pre-K-12. Dates and frequency of services provided are determined on a case-by-case basis as activities are scheduled with each school partner. DTB has conducted successful residencies not only in New York City, but also in Detroit, Baltimore, Miami, recently in Woodstock, Vermont and Washington DC where we have partnered with the Kennedy Center in offering a long-term pre-professional residency for the past 20 years.